"The more you cook, the better you look." (Chris Shugart, T-Nation). Well said Chris! If you are serious about improving your health, body composition and/or performance, proper nutrition is a must and that starts in the kitchen. Unfortunately, many people with body composition goals fail to understand the importance of cooking their own food. I know everyone is busy and it is far easier to open a wrapper, add water to some low-quality meal replacement shake or hit the nearest drive-by. 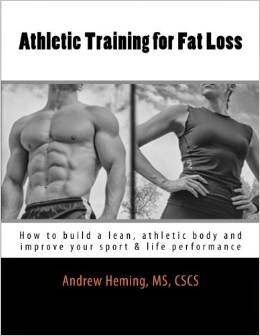 What is interesting is that if I told an athlete or fitness-minded individual that adding an extra 30 minutes of training/practice a day would guarantee a significant improvement in their health, body composition and performance, most people would do it. However, ask most people to take 30 minutes of their daily life to cook some healthy food for the day (which I guarantee will improve your health, body composition and performance) and they cannot seem to find the time. In failing to make the time, they lose out on the following fantastic benefits. Restaurants are businesses. As a business, they naturally want to keep their costs down. As a result, you will not get the healthiest version of what could be healthy food. For example, if you order vegetables, they will likely not be organic. Order fish and you will often get farmed fish. Order beef and you will almost always get corn-fed. Ask for olive oil and you will get a high-temperature, processed oil - not extra virgin. Also, I would be scared to see what the chickens used for fast food places look like. When you cook your own food, you can control all these variables. Most people who go to a restaurant prioritize taste over health and body composition. Therefore, I do not blame restaurants for appealing to their customers' wants. The down side to this is that they often add lots of unhealthy fat and sugar to seemingly healthy items which jacks up the calorie totals and changes the macronutrient ratios (percentages of proteins, fats and carbs). While many people are not at the level where they need to weigh or measure their food, some are and this is obviously impossible to do with restaurant food. 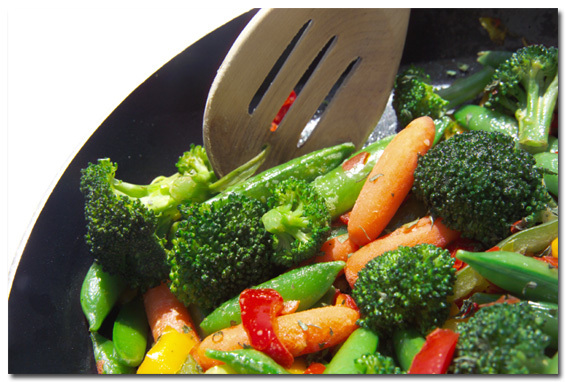 Cooking methods can change the health quality of food. For example, charred meat increases your risk of cancer. High temperature cooking (done for speed) damages the oil used in cooking which leads to free radicals (also cancer causing). Overcooking can decrease nutrient quality. Repeated deep frying creates trans fats - even if the oil is "trans fat free" to start. Cooking your own food in the long run saves you money - especially when you buy in bulk. Why pay someone else to cook you lower-quality food that does not help you reach your goals? Have a proper perspective: the reality is you do not have time not to cook. If you are investing your valuable time into training and then failing to give your body the nutritional support necessary to reach the training goals, then you have wasted the majority of your training time. The cooking time investment allows you to maximize your training time investment. Get a great cookbook. While there are many great fitness-friendly cookbooks on the market, my favorite is Gourmet Nutrition. (I do not yet have volume 2 yet, but volume 1 was excellent). What I love about this book is that it breaks meals down into anytime and post-workout (you want to eat differently at these times, but most people do not). Instead of having eating out be the norm, make it a treat. Save up and then go someplace special when you can look forward to it and enjoy a treat. This also allows you to go to a higher-quality restaurant with higher-quality ingredients.